Jobs Description: PPSC Jobs Advertisement 38/2018 is given below in our site. Visit our site to view PPSC Advertisement 38/2018. 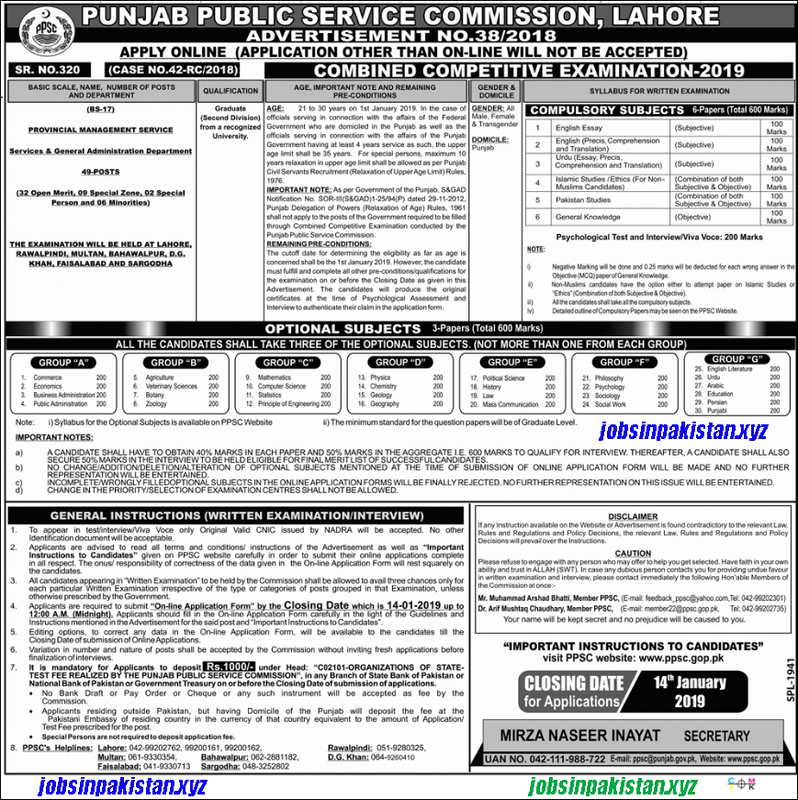 Punjab Public Service Commission recently announced an advertisement for Jobs through Combined Competitive Examination (CSS) 2019. How To Apply: The interested candidates may apply online through PPSC official website. Applications other than online will not be accepted. To appear in Test / Interviews only Original Valid CNIC issued by Nadra will be accepted. Incomplete or late coming applications will not be accepted by the PPSC.